I have to admit that I prefer oriental restaurants in their home country to Asian ones in Europe. Probably because there they are much more authentic. This is why I’m always super happy when I discover a new place. A couple of weeks ago I’ve showed you my favourite oriental food stall Sababa on Viktualienmarkt. 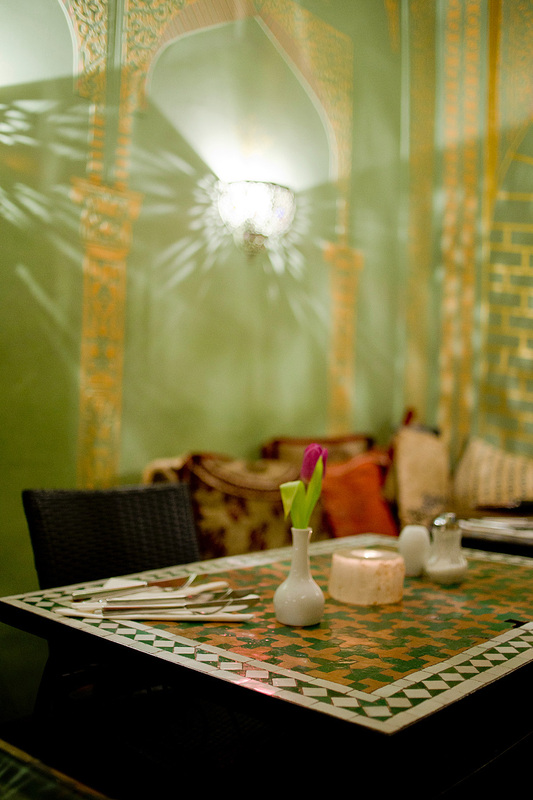 A review of my favourite Afghan restaurant Chopan at Münchner Freiheit is still missing up here. 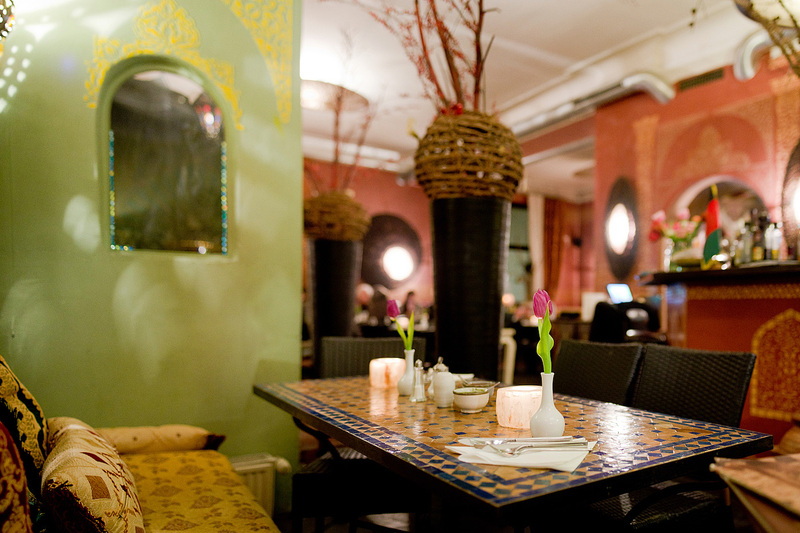 But today I’ll introduce you to Lemar – a small oriental palace in the heart of Schwabing. Palace may be a little bit too exaggerated but the various seating areas remind me of that. 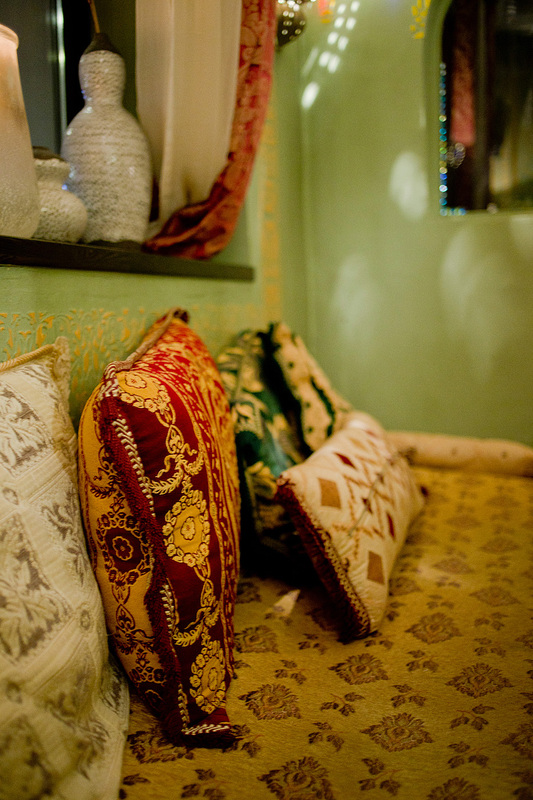 Entering Lemar you may smell the scents of the Orient – cinnamon, cardamom, fresh mint and coriander. 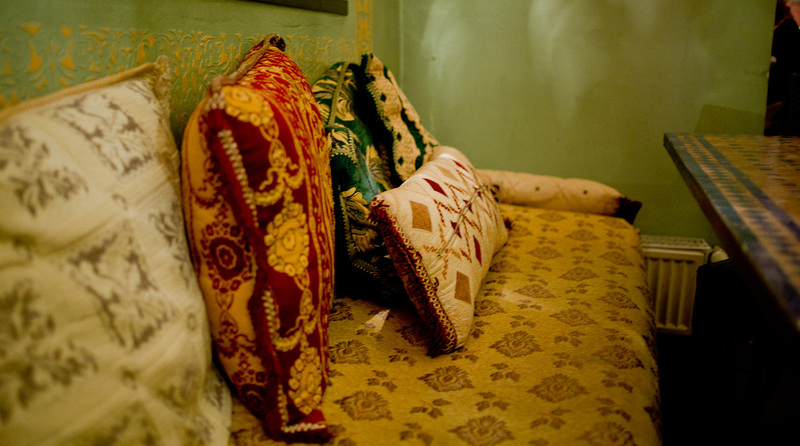 I felt at ease: pastel coloured walls, colourful pillows and tables decorated with mosaic. 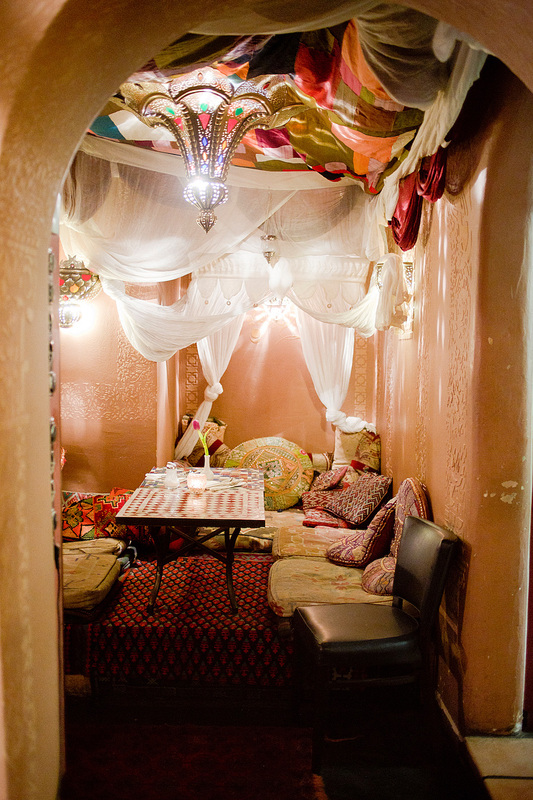 The ambience is comfortable and inviting. 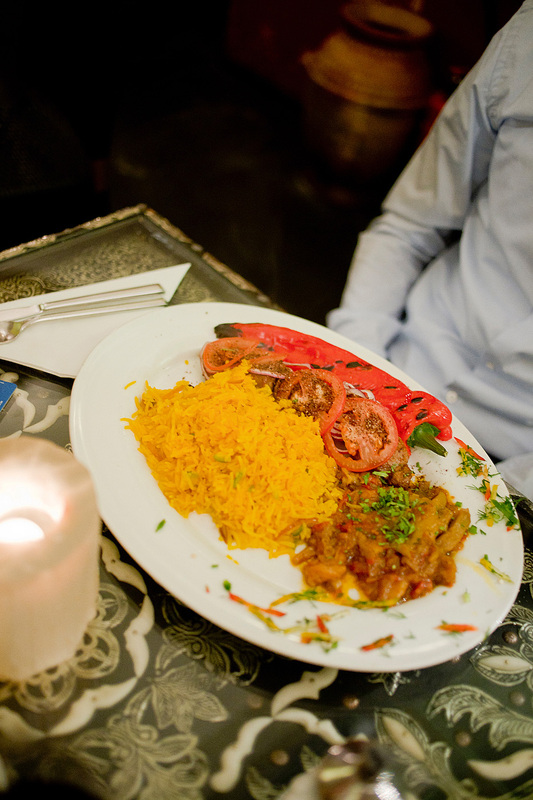 The menu is clearly presented and next to meat and fish dishes you’ll also find a great variation of vegetarian ones. 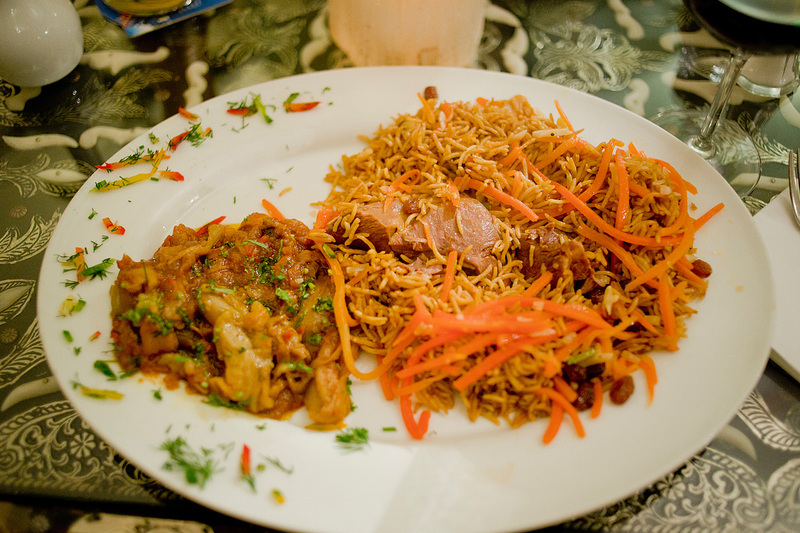 I chose the braised lamb with eggplant, rice with vegetables and raisins. The lamb was tender and the eggplants melted on my tongue. Along with the dinner I chose a glass of Primitivo red wine, which is always a good choice. Especially on weekends the restaurant is always packed. Therefore, I highly recommend booking a table in advance. I absolutely loved the small booth, which you can book with a bigger group. 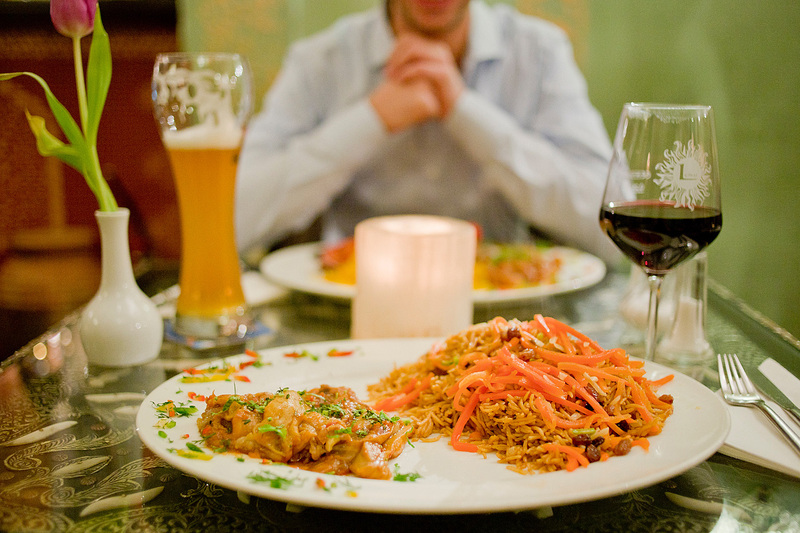 If you’re not located in Schwabing they have one restaurant in the old town and another one at the Isartor. I hope you liked this recommendation and I wish you a wonderful day!